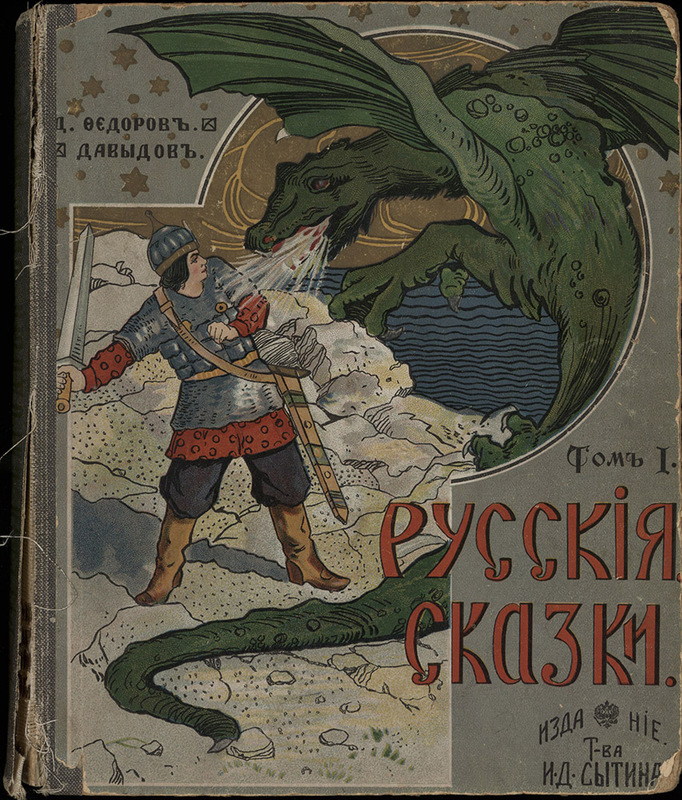 Four collections of Russian "Skazki" - folk tales and fairy tales - from the nineteenth and early twentieth century. One book is in English, two are colorfully illustrated. 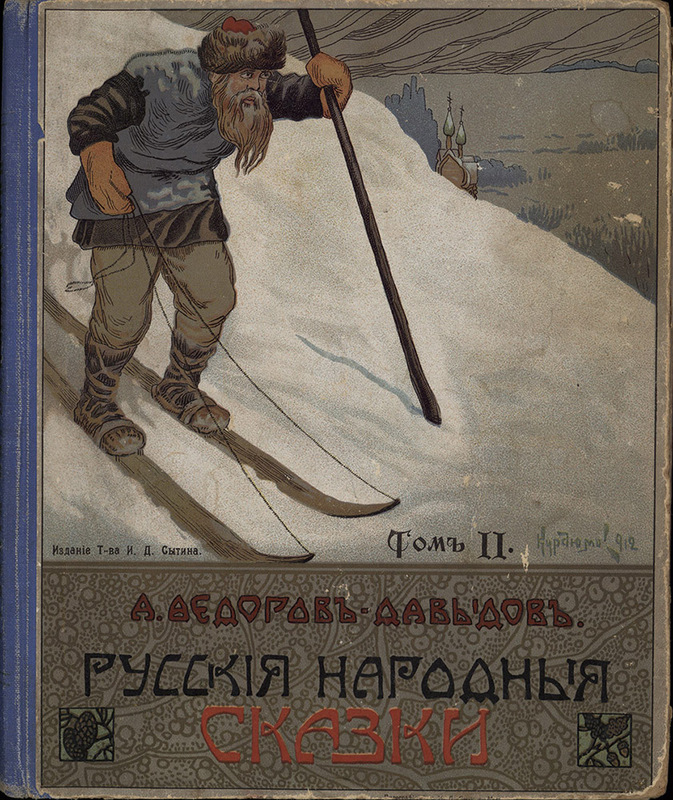 Narodniya russkiya skazki [Народныя русскiя сказки; Russian Folk Tales]. Moskva: V Tip. Gracheva i Komp., 1860-1863. Moskva: Tipografia T-va I.D. Sytina, 1912. 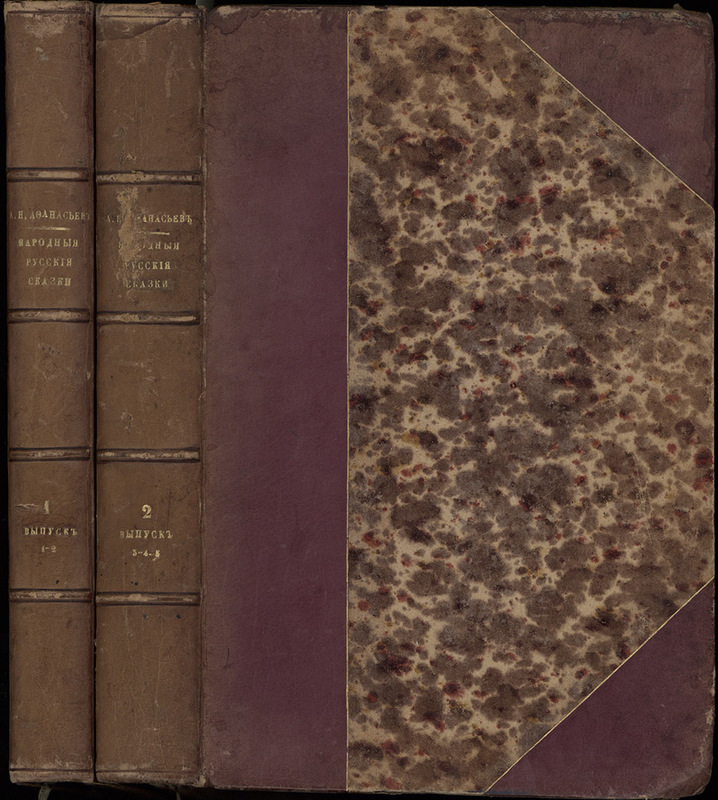 Basni Ivana Krylova: v trekh chastyakh [Басни Ивана Крылова : в трех частях; The Fables of Ivan Krylov: in three parts]. 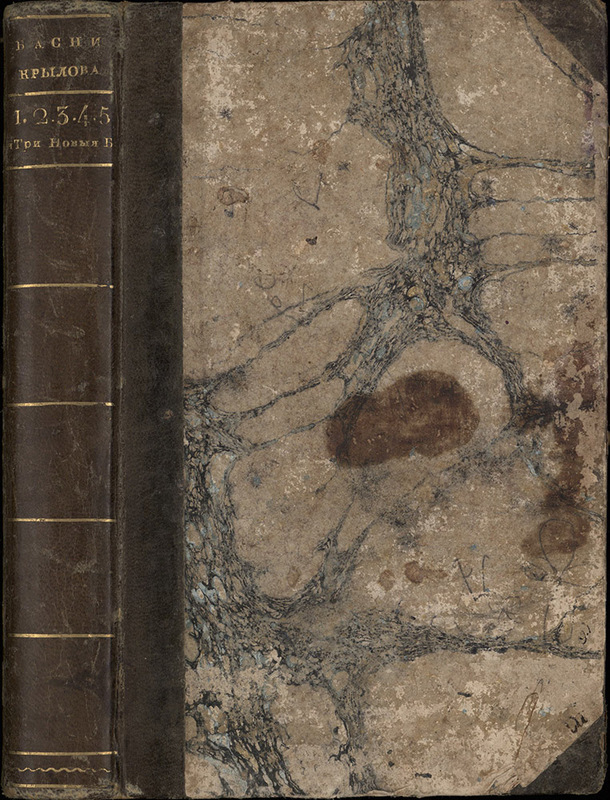 V Sanktpeterburgye: V tipografii Pravitel’stuyushchago Senata, 1815. 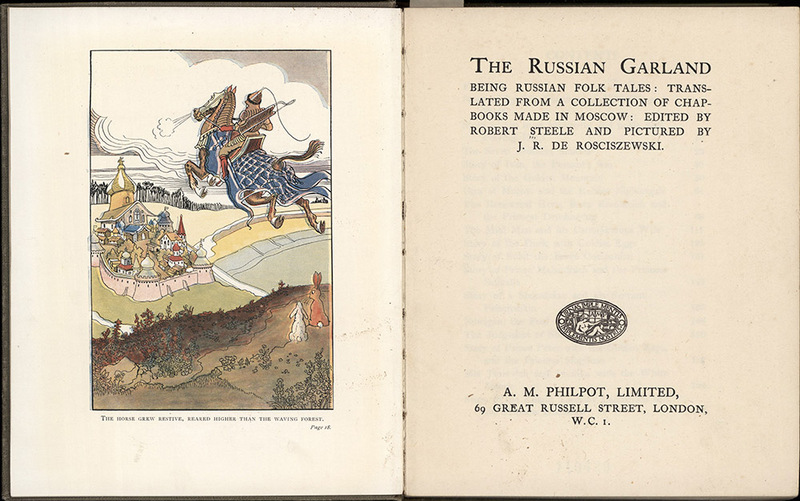 The Russian garland: being Russian folk tales.